Winter hiking can get dangerous pretty quickly. One minute you could be trotting along atop a magical winter wonderland and then the next minute, you might take your gloves off to take a picture and be left wondering if you’ll ever feel your hands again. Your water might freeze in your backpack at the summit of a mountain and if you’ve layered with cotton and start sweating on your ascent, you’ll stay wet for the duration of the hike. 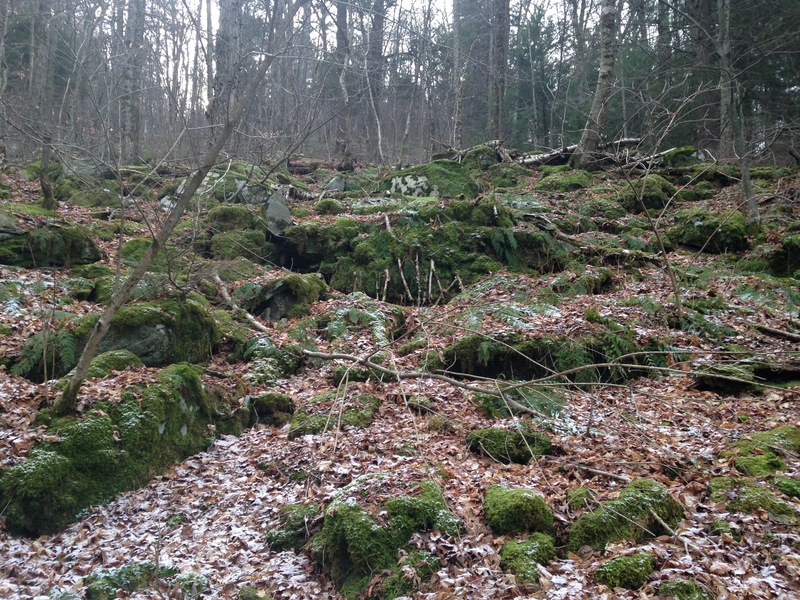 Winter hiking in the Catskills is only for the experienced or very prepared. At the very least, take spare socks, t-shirt, food and don’t wear cotton under- or base garments. Drink a liter of water before you set out and eat a hearty breakfast. Take a lighter, some pocket hand warmers and a gadget that turns snow into water. Or wait until Spring. Just stay at home and read, catch up on correspondence or binge watch quaint BBC period dramas because if I haven’t mentioned it, winter hiking in the Catskills can get serious suddenly and without warning. 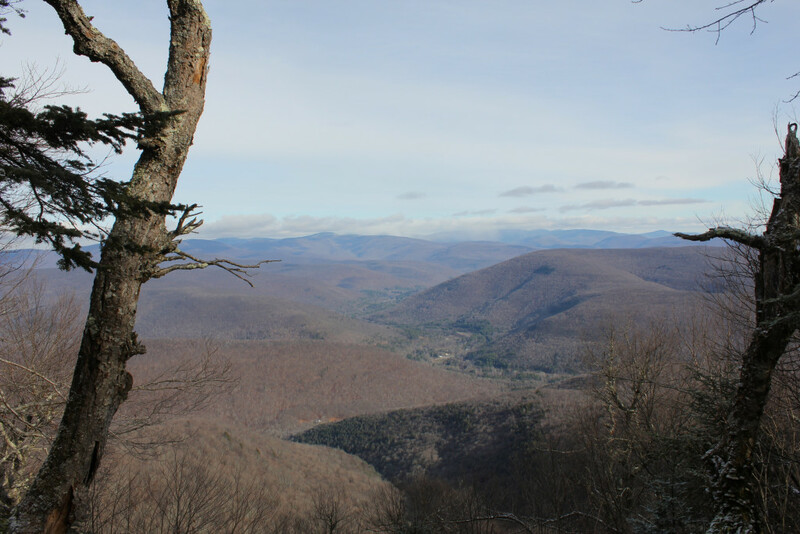 If you want to join the Catskill 3500 Club, you must do four peaks between December 21st and March 21st so I’m hiking those four this winter for that reason only: Balsam, Panther, Slide and Blackhead. I hiked Balsam Mountain twice in the summer and you can find the description, and a much greener photograph from the summit, in stark contrast to yesterday’s, here. It was a magical and lushly gorgeous summer hike and it’s also a beautiful winter hike with light snow. 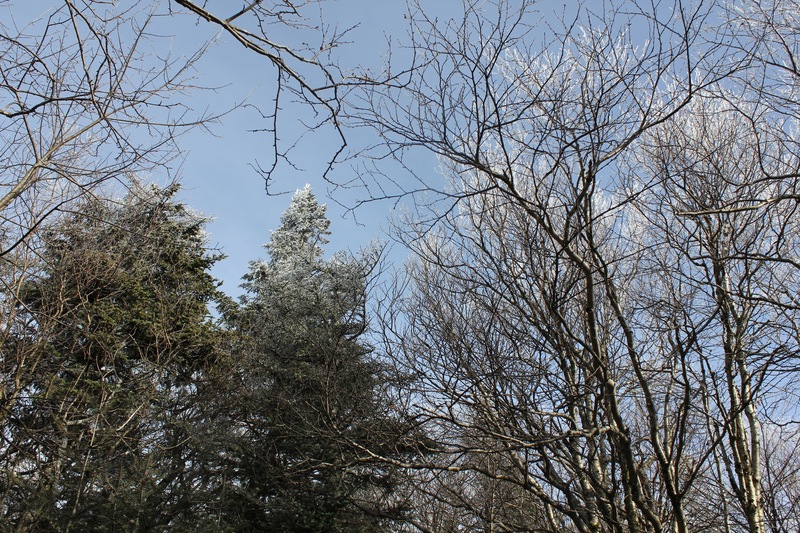 Balsam Mountain is on a diamond-shaped loop and guides say that you should avoid going counter clockwise in the winter because there are about five stream crossings on the counter clockwise ascent that you avoid if you take the loop clockwise. Yesterday, I took the entire loop for the first time counter clockwise and the streams were running much higher than they had been in the summer. The rushing water was mezmerizing on the ascent, but I had to shimmy along a fallen tree trunk on my backside to cross one of the streams. The summit was freezing cold, so we didn’t dither for long because my hands froze and I hopped around the top of the mountain thinking “frostbite!” and had to shove my hands into my companion’s armpits. 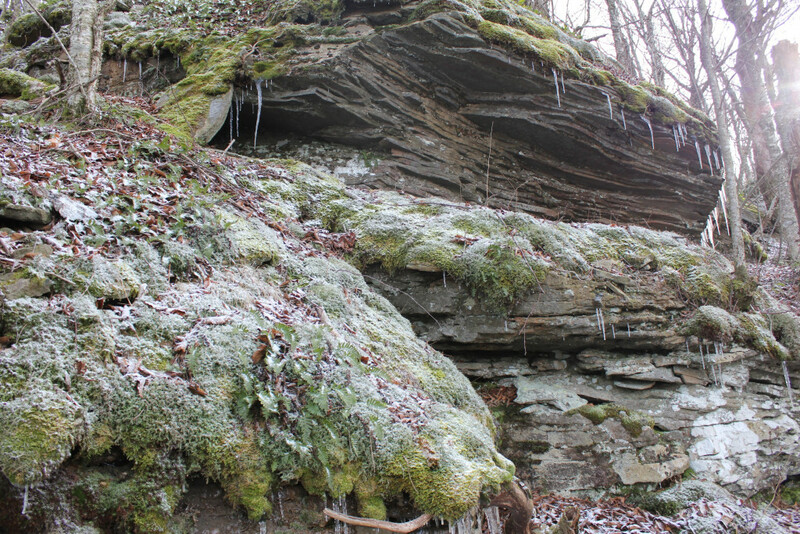 But it was a stunning combination of soft moss, frosted balsam trees and light snow. The ascent on the red blazed Oliverea Mapledale trail was rocky and icy in parts, but the descent down yellow blazed Mine Hollow was mostly soft dirt because it was later in the day and the snow had melted. I prefer to descend on less rocky, soft ground because I stumble on rocks too easily when I’m tired and keep injuring my ankles. 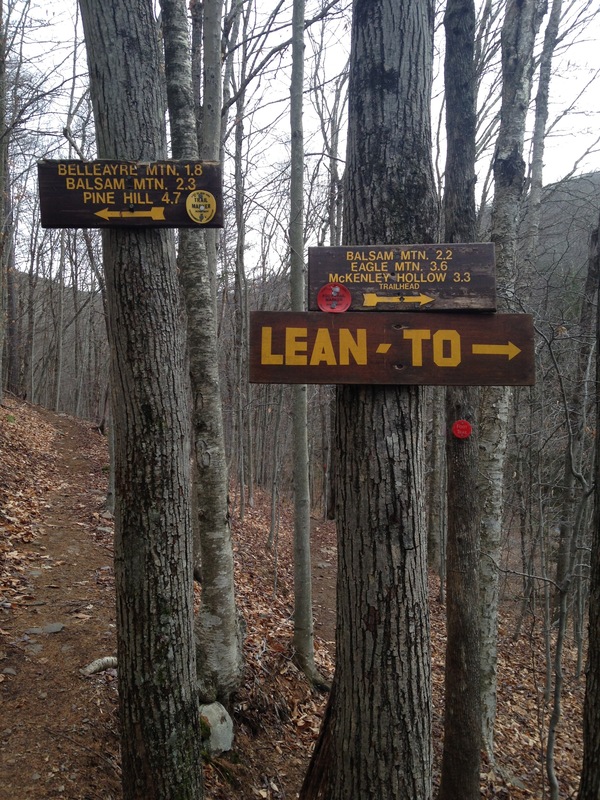 Note, however, that if you take the counter clockwise route, a map is essential, as there is no sign to Balsam after the first 1.75 miles on the red blazed Oliverea Mapledale trail where you must turn left onto the blue blazed trail. 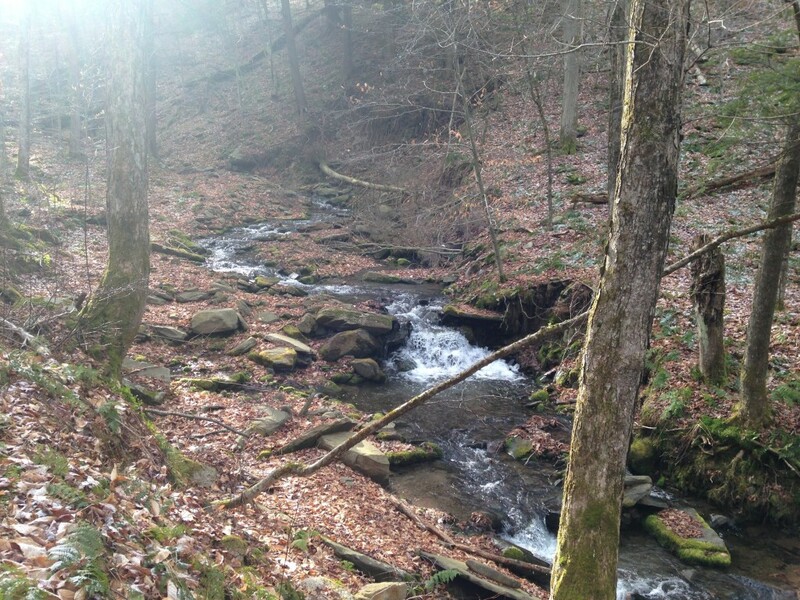 The parking area for the Balsam Mountain hike is at the end of Rider Hollow Road in Hardenburgh. It’s truly one of the most beautiful hikes in the Catskills and, in the summer, the multiple tributaries and shallow swimming holes make this a delightful place to camp and swim. It’s one of the Catskills’ best-kept summer secrets. 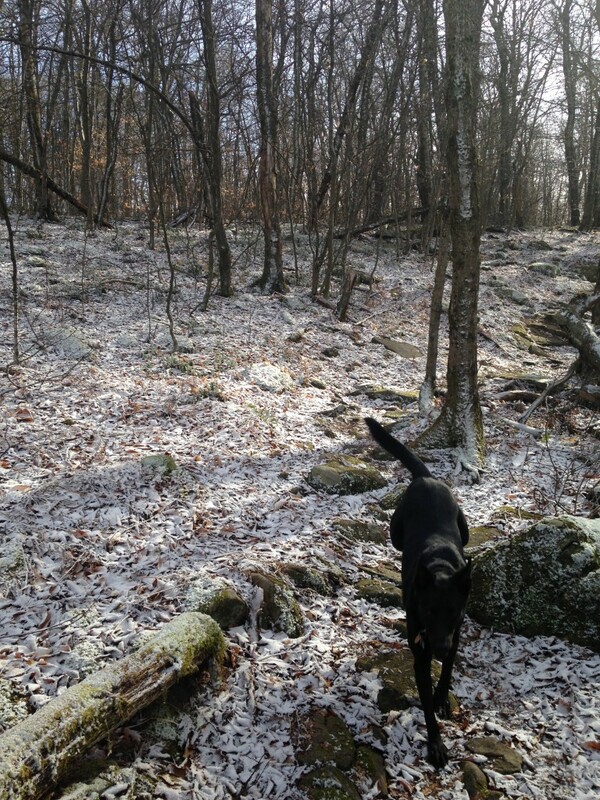 This entry was posted in Hiking The Catskills and tagged Catskill Mountains, Catskills, Catskills Photography, Country Living, Forest, Hiking, Hiking in New York State, Mountain Life, Ski Catskills, Upstate Hiking, Upstate Living, Upstate New York, Winter Hiking on December 29, 2015 by JNUrbanski.